One of my lovely British nieces L (the older one), was born on the first of January. Sadly, this means that we are never around to celebrate due to New Years Eve bashes. 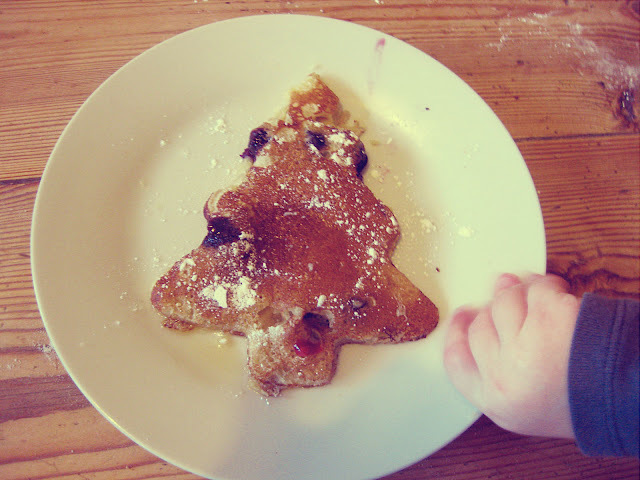 This year I made sure we celebrated her special day before we left... and what better way than with Xmas tree American Pancakes!!! Always wanting to share some of my favorite Americanisms with the girls and the family, I thought this would be perfect. It also helped beat some of the post Xmas blues... candy cane stirrers for your hot chocolate bar are another great treat too! I explained to L that these were no ordinary pancakes... but snowy, berry filled, tree shaped ones just for her! 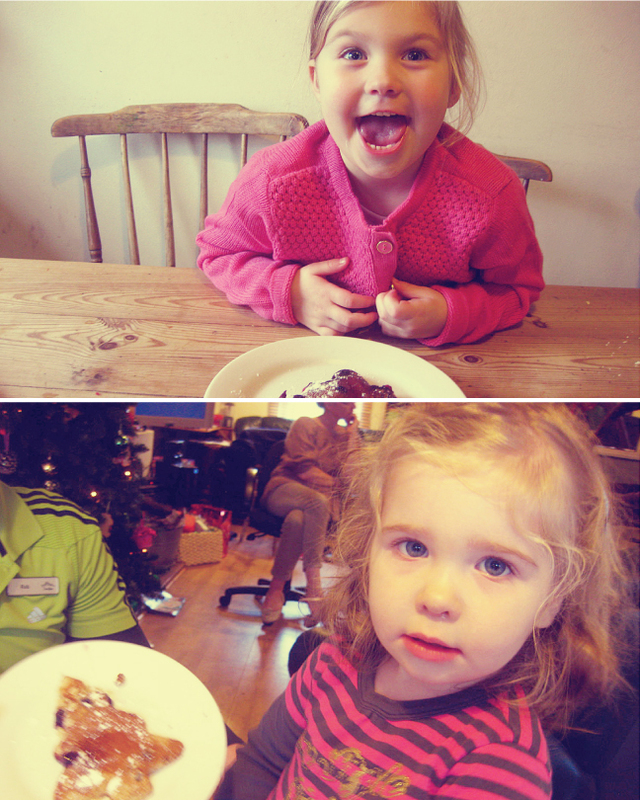 She loved the idea and the fact that she was able to be involved with the pancake cutting... and of course eating! I even let her pour her own maple syrup and powdered sugar like big girl would... in hindsight, not the best idea... but hey, you only turn four once right? Oh and as for the little one, R... well she started of shy and quite... but you can see from the last photo that the sugars got to her too! Sift the flour, baking powder, salt, and caster sugar in a large bowl. In a seperate bowl, whisk together the milk and egg, then whicsk in the melted butter. Be careful not over whisk! 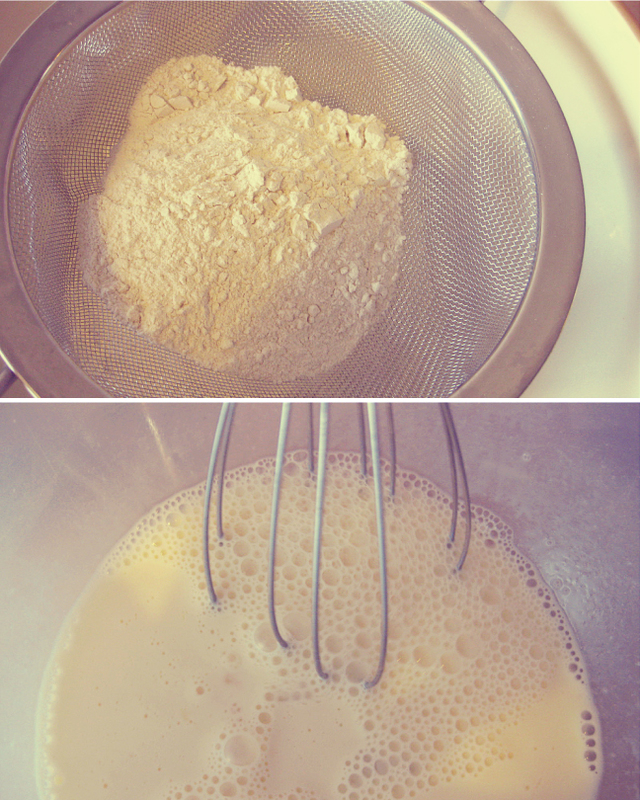 Pour the milky mixture into the flour mixture and beat until batter is smooth using a fork. Make sure all lumps are gone and then let stand for a few minutes. 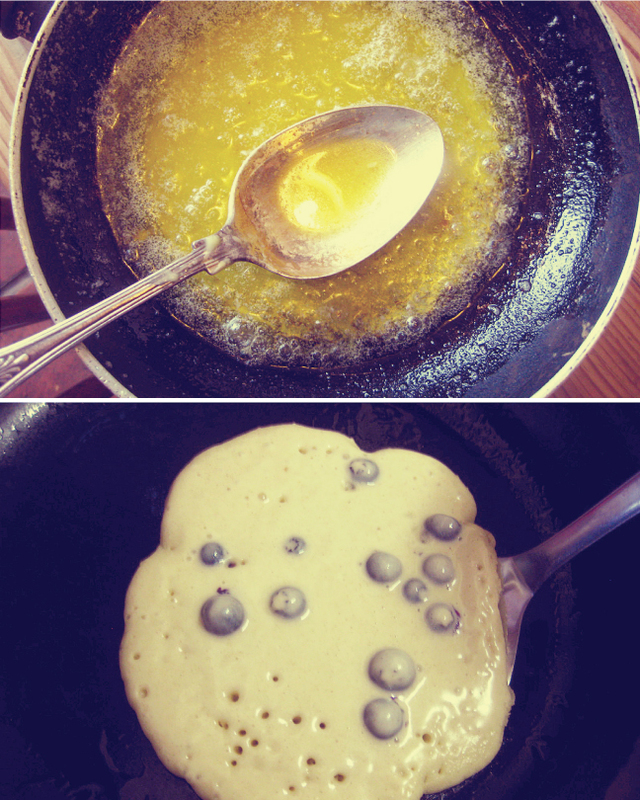 Right before making pancakes, dump the blueberries into the mixture and gently stir, making sure not to burst them. Pour a ladle of pancake mixture into the center of a buttered and heated pan. Batter will spread out to form a 5"-6" pancake. Once the top of the pancake begins to bubble, carefully turn over and cook until both sides are golden brown. 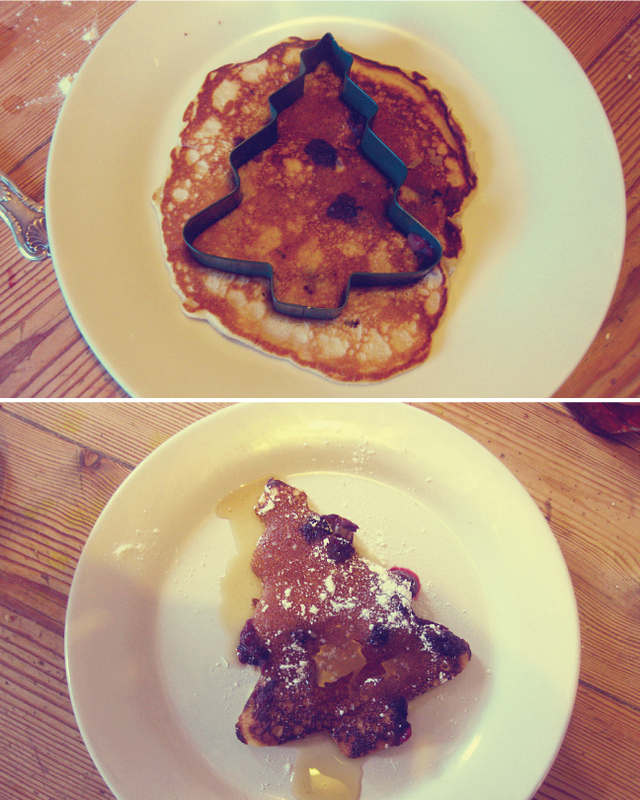 Using the Xmas tree cookie cutter, cut out a tree per pancake. 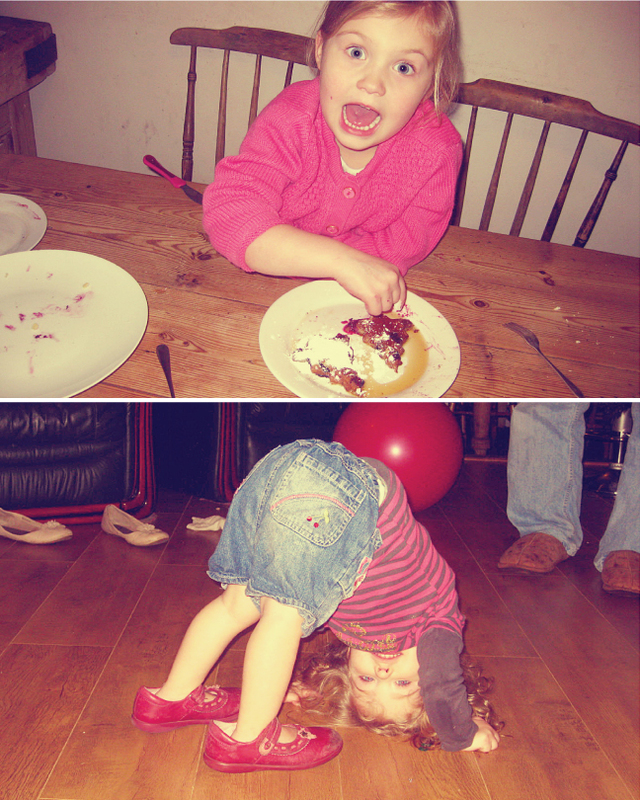 The British nieces loved doing this step and yes of course, the scraps can be eaten! 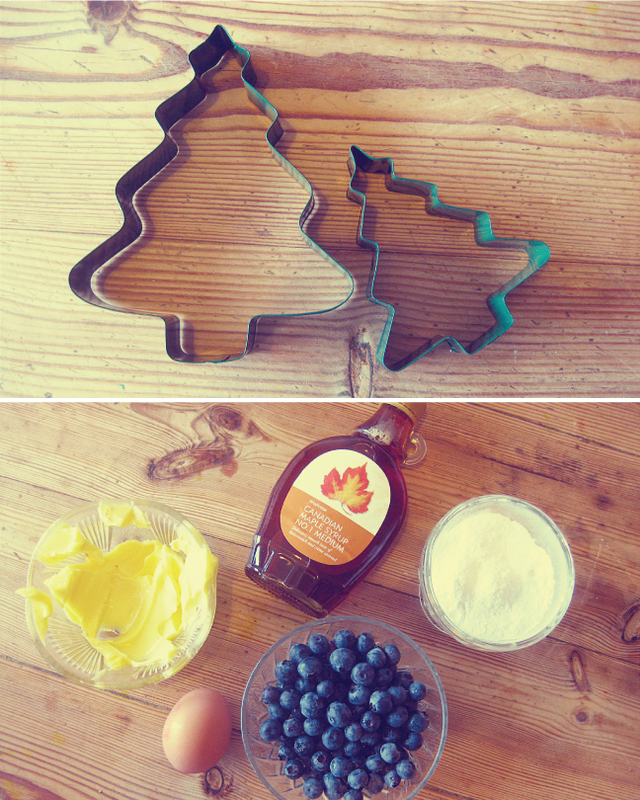 Pour your desired amount of maple syrup and top with sprinkled sugar for a snowy effect. 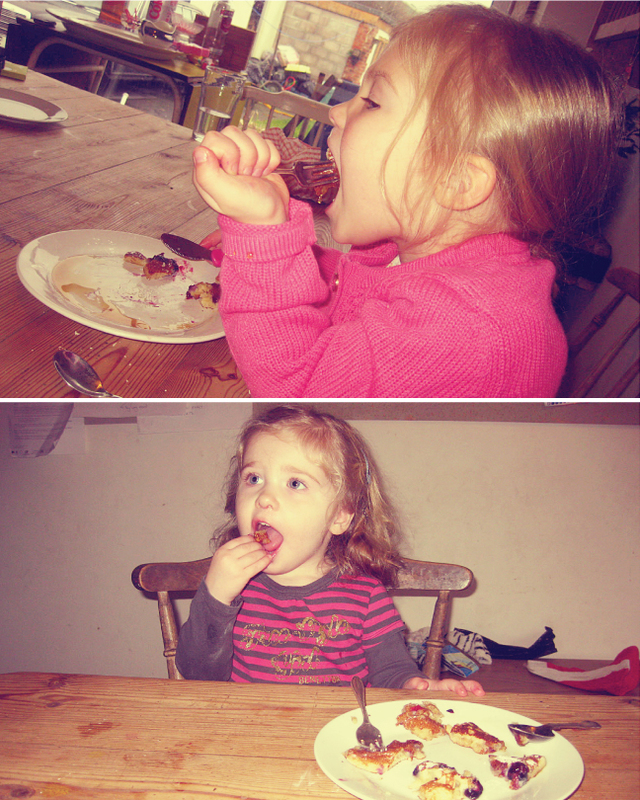 The girls liked doing this step too but be warned, it did lead to an excess amount of syrup and sugar piled onto their pancakes... hello sugar rush!